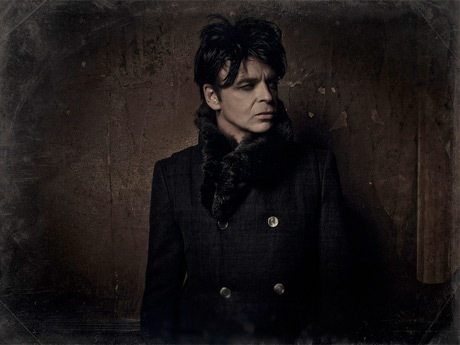 Following last year's Splinter (Songs from a Broken Mind), this fall will see a new release from Gary Numan. His film score for John Bergin's From Inside will arrive on October 7 through Lakeshore Records. Billboard notes that this animated feature made its festival debut in 2008, at which time it had a score by Brett Smith of Caul. That score came out in 2012, as did a DVD featuring Smith's music. That same year, Numan penned his own score along with Ade Fenton. A couple of weeks after Numan's score arrives on shelves, a new DVD version of the film featuring this updated score will follow. From Inside: Gary Numan Special Edition drops on October 21. Watch a teaser for the new DVD below. From Inside is based on Bergin's 1993 graphic novel of the same name, and it tells of a train voyage through a post-apocalyptic landscape.